According to one Arab researcher, the PA stopped paying a monthly salary to 500 terrorists - who are now protesting in Ramallah. Researcher Bushara al-Tawil, who specializes in the subject of Palestinian Arab prisoners, told Hamas newspaper Palestin that the Palestinian Authority had ceased paying salaries to 500 prisoners. "We need a real intifada, of all the freed prisoners. They need their salaries," al-Tawil said. According to her, the Palestinian Authority has a large budget intended for its prisoners, but decided to slash the budget in accordance with its new and changing guidelines. According to Abdullah Abu Shalbak, spokesman for the demonstrating ex-prisoners who claims to have spent 21 years in Israeli jails,, the Palestinian Authority ceased paying monthly salaries to 277 prisoners, including 23 who are currently in Judea, Samaria, or abroad, and 48 who were released in the "Shalit deal" and later recaptured by Israel. Freed terrorists who no longer receive their monthly salaries protested this week in the center of Ramallah, setting up a protest tent in the city's "Hasha'on Square." One of the claims is that Fatah convicts continued to receive payments, with only Hamas and Islamic Jihad members losing their stipends. 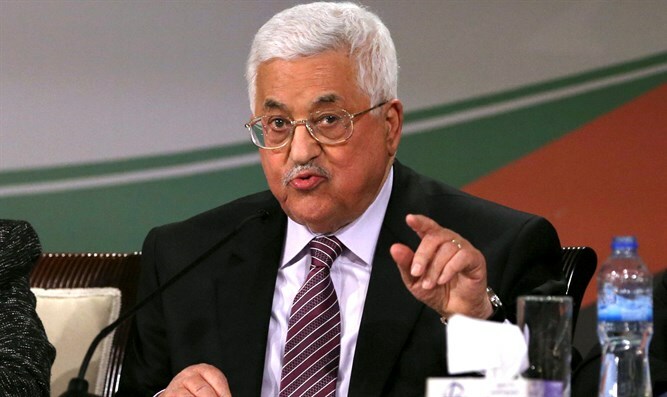 Both the US and Israel have begun placing pressure on Palestinian Authority Chairman Mahmoud Abbas to cease using international aid to pay monthly salaries worth millions of NIS to terrorists and their families. The monthly stipends are in direct proportion to the level of vioilence of the terror attack, with the most bestial murderers paid the highest salaries. Earlier this month, US Secretary of State Rex Tillerson told Abbas that he "absolutely has to stop" paying salaries to terrorists who kill and maim innocent Jewish civilians.